Home / DYKES, CAMERA, ACTION! Lovers of lesbian film unite! Dykes, Camera, Action! examines queer women’s cinema from the mid-twentieth century through today. It’s a joyous trip down memory lane for any film lover. 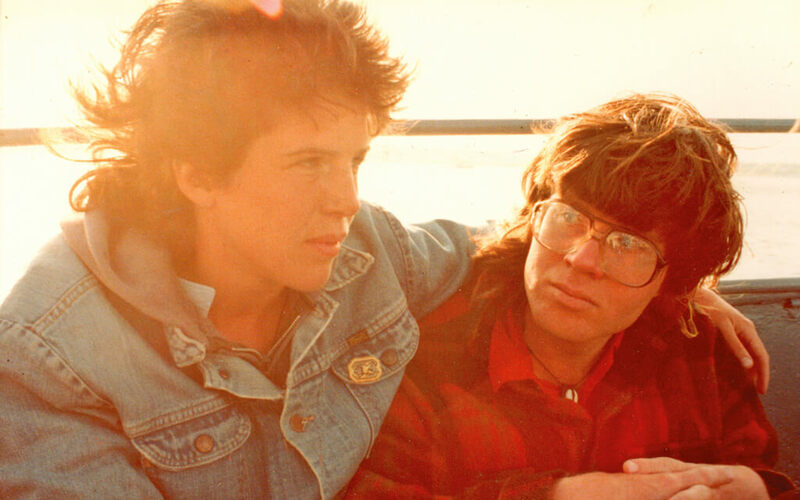 Academics like B. Ruby Rich and Sarah Schulman contextualize the history of queer women’s films, from the 1960s through the 1990s’ New Queer Cinema, and all the way to the lesbian pop froth of the 21st century. The historical intersection of experimental film and queer film is examined, as well as the role of activism in lesbian artist circles, and the never-ending battle against the male gaze and the patriarchy. But just as importantly, filmmakers Barbara Hammer, Su Friedrich, Rose Troche, Yoruba Richen, Desiree Akhavan, Vicky Du, Cheryl Dunye, Jenni Olson, and others discuss how they’ve expressed their queer identity through film, revealing their personal experiences of looking for themselves on screen. Featuring the ultimate array of filmmakers and thinkers from the past century, this documentary functions as an updated—but much more modern and far less bleak—The Celluloid Closet. It’s a ton of fun to spend time with the dozens of women who helped to create the cinema that has shaped so many lives, and, in the process, learn how we all got here. Eleanor wants to make a vampire movie in the cemetery with her goth friends, but high school bullies, messed-up Mom and skinheads keep getting in her way.